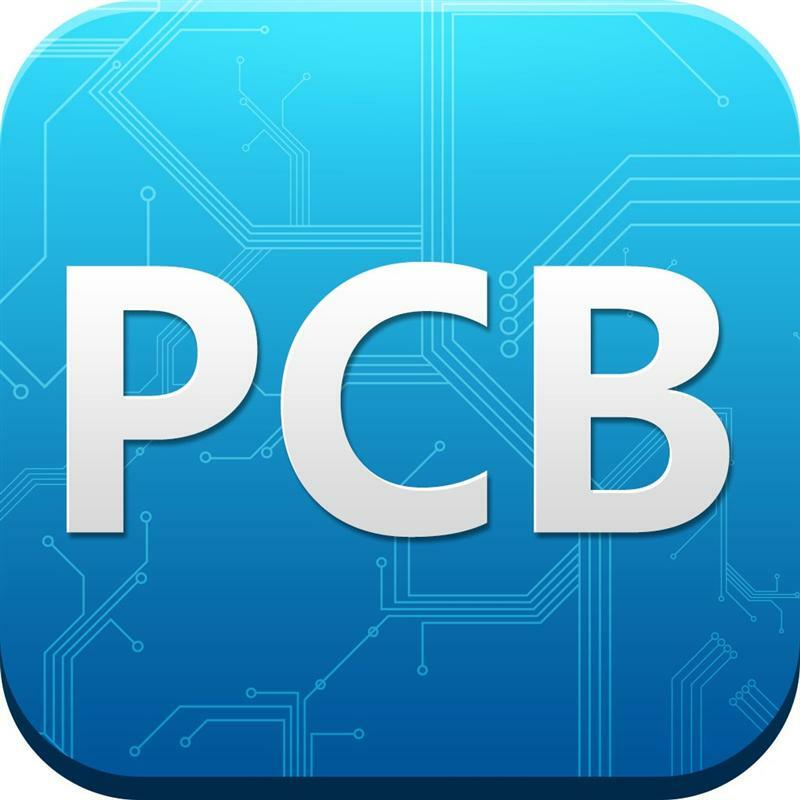 It is reported that the PCB board has gone through a round of price increased by 5% when we come to 2017 only less than 1 month.The difference between previous increase and present one is that the present rise is mainly for higher grade products with thickness of more than 1.2. Many small and medium-sized PCB factories which have no extra money for preparation in advance will get the rising price from the upstream material suppliers, when customers bargaining at the end of the year.Although the first two months are the peak period of downstream PCB shipments, limited by the number of working days, the factories may be difficult to deliver PCB boards on time. Actually, in recent years, the prices of plate and raw material have been declining while the demand keeps growing year after year, which forces a lot of PCB enterprises out of market because of the price war. "Large enterprises enjoy certain bargaining power thanks to the large demand for raw materials.However, small enterprises do not have the opportunity to bargain.It is us to decide the price increases,otherwise we won't supply. As a result,the cost for downstream small enterprises and the difficulty of survival will increase,accelerating mergers and acquisitions,integration,shuffle." A PCB raw material manufacturer manager said,"There is a price but no sales for PCB board as the prices for CCL and raw materials continue to rise. A number of small and medium enterprises will face the risk of funding strand breaks in 2017 with stronger impact." From the beginning of 2016, standard prices for PCB copper have risen more than 50%, copper foil processing fees and effective CCL prices are respectively 100% and 50% higher than the original average. In early November 2016, the original copper prices soared to 48,000 Yuan per ton. As the original copper prices rose 26%, the drive for price increases of the electrolytic copper foil was transferred from the processing fees to the original copper prices,and the overall price of electrolytic copper has exceeded 110,000 Yuan per ton.According to Taiwan media reports, in January 2017 copper foil processing fees had a small-scale price increase. A company boss said, “The CCL manufacturing enterprise changed the habit of payment three to five months later after AOG (arrival of goods). The copper prices rose 20 to 30%, but were still with limited supply which makes buyer line up to order even with cash purchasing. "Plate transactions are generally credited from 90 days to six months. After the demand for copper foil of lithium battery appears, some manufacturers take cash to buy materials, indirectly causing the vicious price competition, which has never been seen in more than 30 years of PCB circuit board industry development. Copper foil in the last year was in short supply. Enjoying the highest market share, the most influential CCL maker named as Jiantao issued the first notice of price increases in March of last year. Then, other board companies have followed up, stimulating the upstream and downstream supply chain. The shortage of copper supply also led to the rapid rise in other raw materials. According to the industry news, the fiberglass cloth which is the main material CCL may rise to 7 RMB per meter. Besides, aluminum plate and light guide plate cumulative is about more than 20% while FR- 4 cumulative is over 40%.Plastic sheet and plastic parts will surpass 10%, and even the loading carton will involve in cash transactions. When can we ease hard expansion, copper foil and CCL price increases as well as stockout? Copper foil, CCL and PCB manufacturers have long struggled in the bottom. Actually, no one predicts that the car lithium battery rushes out along with such a fast and lasting rising circle of material price which is caused more by the production transformation from electronic copper foil to lithium copper foil. According to the latest data released by JPCA, the output of Japan printed circuit board in October 2010 fell to 1.29 million square meters from the same month of last year. What’s worse, production capacity kept declining for 11 consecutive months. In particular, the electronic soft board suffered from a sudden drop of nearly 30%. For example, one Japanese copper foil company with a monthly production of more than 3,000 tons has now basically quitted domestic electronic copper foil. Global electronic copper production capacity is 41,000 tons per month, of which more than 8,000 tons have been discontinued. Japanese companies have withdrawn and shut down the electronic copper foil factory three years ago, converting to special copper foil for high-speed board, high-frequency, packaging and flexible PCB. In the entire supply chain, about twelve thousand tons of electronic copper foils have gone. At present, whether it is new or old copper foil business, the production expansion they carry out is all centered on the lithium battery. As the new production cycle of electrolytic copper foil takes two to three years, so the copper shortages of CCL and PCB will be a normal in the next one to two years. This is mainly because the core equipment of electrolytic copper foil production is the titanium cathode roll which is monopolized by Japanese enterprises with three-month production cycle and more than one year delivery cycle. Currently, the orders of titanium cathode roller are mainly supplied to lithium copper foil manufacturers, hardly meeting the demand of production expansion of CCL and PCB copper foil. In addition, since the production characteristics and requirements are different between lithium copper and copper used by CCL and PCB, transferring from copper foil to lithium one is easy, but hard on the country. In fact, electronic-grade glass fiber cloth is another main material of CCL and has been unprofitable all these years, resulting in cutting back or suspending production in some electronic-grade glass fiber cloth factories. Recently, we’ve learned that many domestic and foreign enterprises of electronic-grade glass fiber cloth are halting production and repairing kiln with a maintenance cycle of about six months, which indicates that the supply of electronic-grade glass fiber cloth will be drastically reduced in the near future, followed by the price increases of electronic glass fiber cloth. According to market information, PCB industry from the upstream equipment factory, raw material factory to the downstream manufacturers has still performed well even in off-season since the first quarter of 2017. First, the proportion of the car board applied by automotive electronics increased from 0.5 square meters of copper foil substrate to 2 square meters; second, it is said that Apple iPhone 8 will replace the previous HDI PCB technology with substrate like-PCB technology with smaller line spacing and width. If we take factors such as stockpile by CCL and PCB companies into account, then the copper supply will be tense. It is reported that the production of copper foil equipment used for providing the new energy vehicles with lithium copper foil has been arranged to the second half of 2017. It is estimated that CCL and PCB manufacturers need to suffer at least one and a half years to two years considering the copper shortage. Two or three years later, it is very likely that some copper foil production enterprises once again return to CCL and PCB due to the new energy vehicles lithium battery competition. How can PCB industry break through? Electronic copper prices remain high but with a limited increase. Presently, most PCB manufacturers start business after New Year holiday. Although the supply of raw materials is tenser, the new energy vehicle production is at off-season. Some copper foil factories have shifted production capacity back to PCB market. Moreover, some PCB factories prepare in advance, so the actual supply is not so tense. Indeed, the board price only accounts for about 1/3 of the total price, so the impact of copper price on the board price is much greater than that on PCB price. As PCB market is in the long-term vicious competition, the small and medium enterprises raise price firstly while the products from leading manufacturers is with small price increase. Most small and medium-sized PCB manufacturers do not have enough funds for board hoardings. Besides, extremely short purchasing cycles, board prices rises and cash demand increases result in capital chain tension. Because of the small output, its profit is most influenced by the board price. These two points lead to the hardship of small and medium-sized PCB board factories which firstly raise prices and result in order loss. The price increases of raw material beat some manufacturers, which is good for large-scale factory with sufficient fund to attract more customers, further focusing on market with industry standards. Compared to similar manufacturers with board purchasing demand, they can further control the cost and keep the material supply flow by strong bargaining power and right to require delivery when facing upstream suppliers. On the one hand, when the board makers in 2017 bargain with customers, they know about the current market and may not require a big price drop. Circuit board manufacturers may change from the previous model of delivery before payment to delivery after the payment. Out of stock is inevitable for board, but board manufacture should have long-term plan. On the other hand, this crazy trend is unsustainable. Speculative factors are behind the continuous heat of copper foil market. Lithium copper foil will not continue to grow every month with high-speed expansion. The board manufacturers should be rational to each other and carefully consider the varieties and quantities of purchase, instead of blindly following the trend of hoarding by auction and participating the price war. With the great market demand for new energy vehicles, mobile phones, small pitch LED, communications base stations and other major electronics, the PCB industry market gradually picks up. In order to break through the tight encirclement, circuit board factory should seize this opportunity to continuously improve quality and reduce costs to avoid vicious competition. The copper industry should take the chance of price increases to promote the technology and quality, putting forward the progress of copper foil. Entering the era of high-frequency and high-speed materials, both domestic and Taiwan manufacturers cannot make it, only Japanese manufacturers can do so. If the copper factory can’t achieve profit and technical progress, it will be hard to survive. Moreover, the industry chain is not healthy and disadvantageous to us at the same time. Now these copper foil factories are taking advantage of this good chance for R & D investment, is undoubtedly benefit for the industry. In the long run, raw material price increases will accelerate the elimination of non-competitive small and medium enterprises, making the market further concentrated. This will lead the industry to return to rationality which is conducive to the healthy development of industrial chain.